It's been awhile since I've had to learn a new race track. Since I started track riding back in October 2007, I spent the next year or two right after learning the handful of tracks offered by the various trackday providers I patronized – Reno-Fernley Raceway, Sonoma Raceway, Thunderhill Raceway, Buttonwillow Raceway, and Mazda Raceway Laguna Seca. Nowadays, though I don’t frequent all the tracks enough, I would probably only need a session or two to remember my fast way around each layout. I’ve done any of them at least a handful of times to have each of their corners burned in my head; it’s just a matter of remembering the fast way through those corners. Especially at Thunderhill and Sonoma Raceway – my two most-frequented race tracks – I can get up to speed a lot quicker, and therefore focus more on anything I need to work on for the day a lot sooner. The “old” layout, now dubbed Thunderhill East. 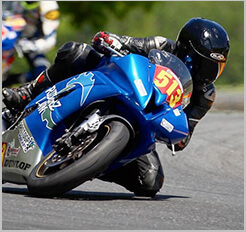 Thunderhill Raceway serves as every Northern California trackday rider’s playground. It’s probably the most-frequented race track in the roster, and the circuit’s layout makes it one of the easiest tracks to learn, despite its overall high-speed character. Its 3-mile length curves and bends in gentle, yet sweeping corners, on a vast area of land that provides plenty of runoff. It isn’t uncommon at all to hear a range of trackday enthusiasts – from beginners to seasoned riders – exclaim this as their personal favorite. A high-speed yet forgiving track; how could it not be? Last month, Thunderhill Raceway opened their expanded Thunderhill West addition to Z2 Trackdays, giving us the privilege of being the first trackday provider to run motorcycles on the freshly laid track. 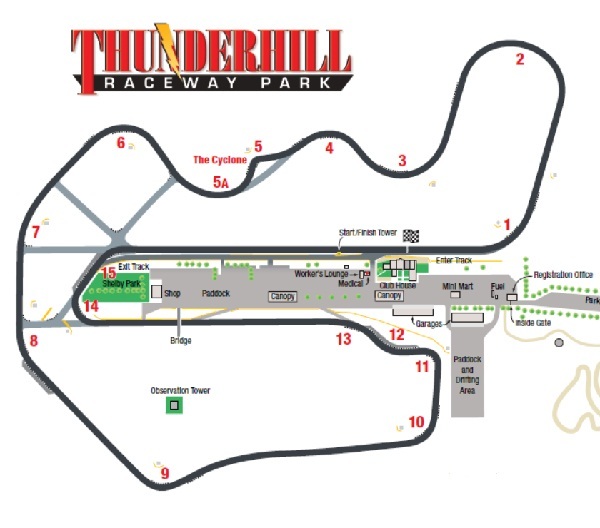 Thunderhill West is a standalone circuit, but does connect to the original circuit to form the full, 5-mile Thunderhill Master Circuit. We had a chance to run the Master Circuit for our June weekend event, and while we didn’t get to run Turn 1 of Thunderhill West due to the full circuit layout, it still gave us the chance to learn all the other parts of Thunderhill West. In August, I will be doing a trackday as a customer at the Thunderhill West circuit only, so I’m looking forward to riding West’s Turn 1 and really get the full feel of the new circuit. 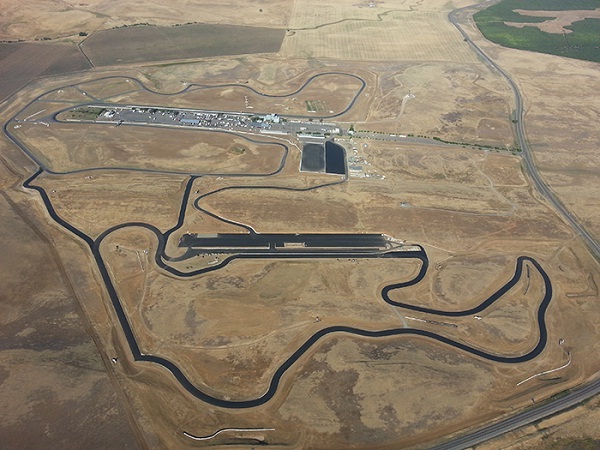 The newest Northern California race circuit: Thunderhill West. And what a new circuit it is, arranged so differently from the East Circuit, being much shorter and tight than the latter. In terms of a technical circuit, Thunderhill East is nothing compared to how technical Sonoma Raceway is, but Sonoma Raceway has nothing on Thunderhill West. West is more compact (as it’s shorter) and so the corners come to the rider relentlessly; there’s hardly any break or pause in between successive corners. By the end of the day, the recurring theme I found in riding West was to straighten out the track – because numerous parts of the track have the corners so packed together, I find the best line through them is a straight line. Rather than twisting and bending with the track itself, it was best to simply ride straight through two (or three) successive corners for the fast way around the whole circuit. As a result, this further shortened an already short track. I wouldn’t be surprised at all if a rider can make their way around West a full ten times during a regular 20-minute session. It’s different, but a welcome addition. Nothing else resembles it in its personality, except perhaps Reno-Fernley Raceway (minus RFR’s horrendous surface conditions). I’m looking forward to the West-only trackday in August, to really build a concrete impression of the newest circuit on our trackday calendar.